The Auxiliary to Sons of Union Veterans of the Civil War works to keep alive the memories of the Boys in Blue who fought and died for their country. We strive to commemorate, often ceremonially, their service and sacrifices for the maintenance of the Union. As one of the Allied Orders of the Grand Army of the Republic, a fraternal order founded by Union veterans after the Civil War, promote education about the Civil War, volunteer service, helping Veterans, preserving history and promoting ideals of patriotism, especially in celebration of Memorial Day. Patriotism is as important today as it ever was. We invite women around the state to join us in our mission. Stay up to date with recent and upcoming events, photos, and news by following us on Facebook. Does your auxiliary have news to share? Let us know! Membership into ASUVCW in New York is subject to the eligibility requirements. Membership can be made within a local auxiliary or “at large”. Mail your application to our Secretary, Betty Baker. 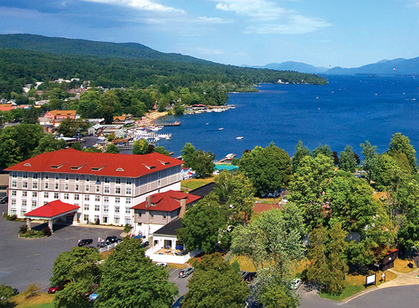 This years Allied Orders Encampment will be held in Lake George, NY on Friday, May 17th to Sunday May 19th, 2019. Let us, then, at the time appointed, gather around their sacred remains and garland the passionless mounds above them with choicest flowers of springtime; let us raise above them the dear old flag they saved from dishonor; let us in this solemn presence renew our pledges to aid and assist those whom they have left among us as sacred charges upon the Nation's gratitude,--the soldier's and sailor's widow and orphan. Your silent tents of green We deck with fragrant flowers; Yours has the suffering been, The memory shall be ours.